Hospice care brings together medical care, pain management and emotional and spiritual support for terminal patients and their families. 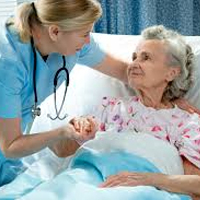 Eighty percent of hospice care is provided in the patient's home, however there are also inpatient hospice facilities. The mission of hospice staff and volunteers is to address the symptoms of a terminal illness with the intent of promoting comfort and dignity. They are experts at pain management. Hospice will manage your loved one's pain, help you understand what he or she is going through and help you and other family members cope with your emotions. Many of us are at a loss as to what we should do before and at the time of death. Hospice professionals help you get through a very difficult time and are there even after your loved one's death. A life expectancy of less than six months. An agreement in writing that he or she will not pursue any treatments to cure his or her illness. The Medicare hospice benefit covers skilled nursing services, physician visits, skilled therapy (i.e. physical, speech or occupational), medical social services, nutrition counseling and bereavement counseling, most of the cost of prescription drugs for symptom control and pain relief. Short-term inpatient respite care to relieve family members from caregiving is also covered. Medicare does not cover 24-hour round-the-clock hospice care in the home. However, in a medical crisis, continuous nursing and short-term inpatient hospice care is available. Nor does Medicare cover the room and board charges for inpatient hospice care. 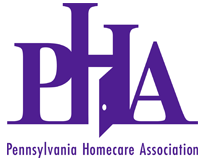 The Pennsylvania Homecare Association website includes a "Find a Provider" feature where you can search for an agency by location or by the services you need. Hospices are licensed by the Pennsylvania Department of Health. You can also search for an agency near you on their website. Are you a member of any professional organizations or are you accredited? Are there certain conditions that patients and families have to meet to enter the hospice program? Are you willing to come to the home and conduct an assessment to help us understand if this is the best option for my parent? What specialized services do you offer, such as rehab therapists, family counselors, pharmacists, used equipment? What are your polices regarding inpatient care? With which hospital(s) do you have a contractual relationship in the event my parent would need to go to the hospital? Do you require that there be a primary family caregiver as a condition of admission? What are the caregiver's responsibilities as related to the hospice? What kind of emergency coverage do you offer? Who is on call? Will a nurse come quickly to the home, if needed? What out-of-pocket expenses can we expect? Will your staff handle all of the paperwork and billing? What are your policies on the use of antibiotics, ventilators, dialysis and/or nutrients given intravenously? What treatments are outside of your hospice's purview? If you are looking for an inpatient hospice, visit with their staff and tour their facility. The journey you are about to take will leave you with a lifetime of memories. Make sure you feel very comfortable and at peace with the hospice professionals who will guide you along this path of letting go.